Becoming famous after starring as Edward Cullen in “Twilight”, Robert Pattinson is often chased down the street by his legion of fans that makes it hard for him to hang out with his friends. 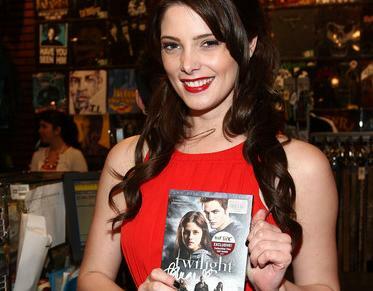 “People are chasing him down the street,” Ashley Greene says about the fanatic fans of her “Twilight” co-star Robert Pattinson. The Alice Cullen depicter then goes on revealing that once those fans even made it difficult for the British heartthrob to just meet and hang out with his friends. “Me and Rachelle [Lefevre] were sitting at a bar waiting for Rob and we’re texting him ‘We’re gonna leave. You’re taking too long,'” the actress recalls. “And he comes in with his hood on and his eyes … he just looked so terrified! We were like ‘Do you need a drink or something, are you OK?’ And he was like ‘They were at every entrance of my hotel and they chased me down alleyways'”. Speaking further about Robert, Ashley confirms the hunk currently is dating no one. She, furthermore, pours cold water on rumors of him dating on-screen lover Kristen Stewart. “Does nobody know that Kristen has a boyfriend? She has a boyfriend. They have such amazing chemistry on film that everyone wants it to be real in real life. Kristen is madly in love with her boyfriend Michael [Angarano],” Ashley insists. Most recently, Robert Pattinson himself was also quoted as telling Moviefone in an interview that he sometimes finds his fame “quite stressful”, adding now that he becomes famous he often finds it difficult to even leave a hotel.